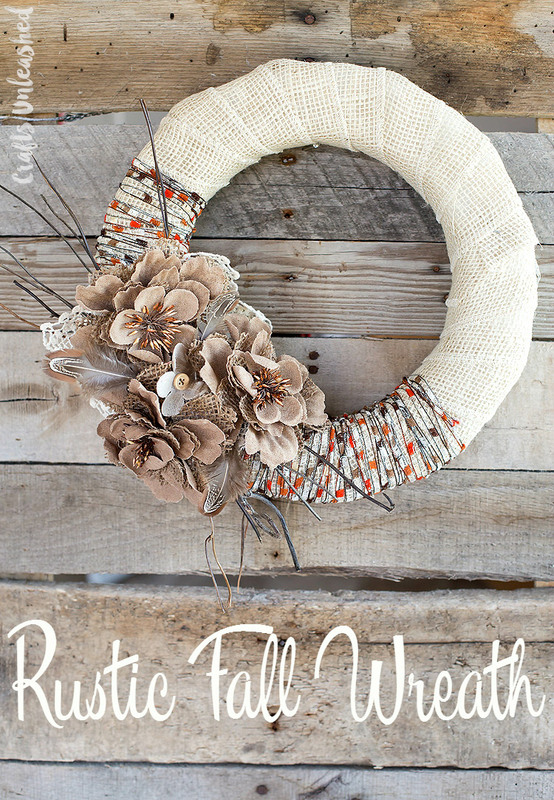 One of the prettiest items for fall decor is a fall wreath! 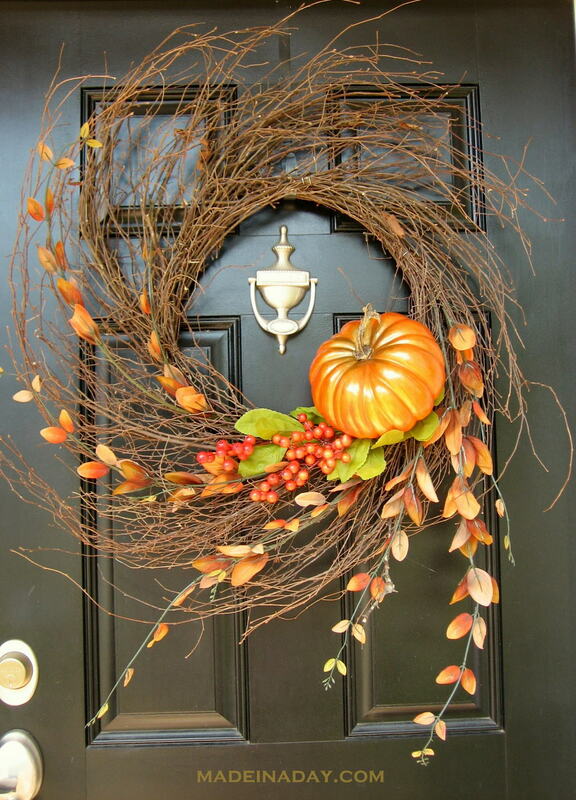 Having a beautiful fall wreath doesn’t have to be complicated or expensive. 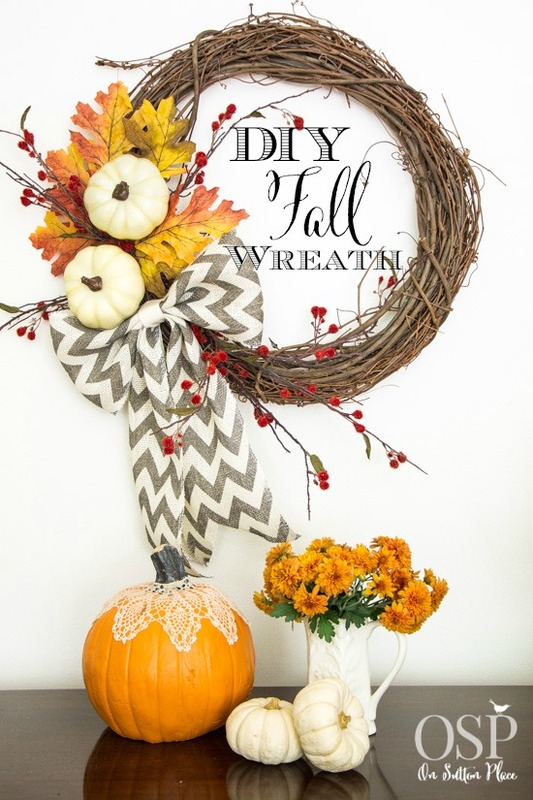 Here are 25 festive DIY fall wreaths that you create yourself for a fraction of the cost! 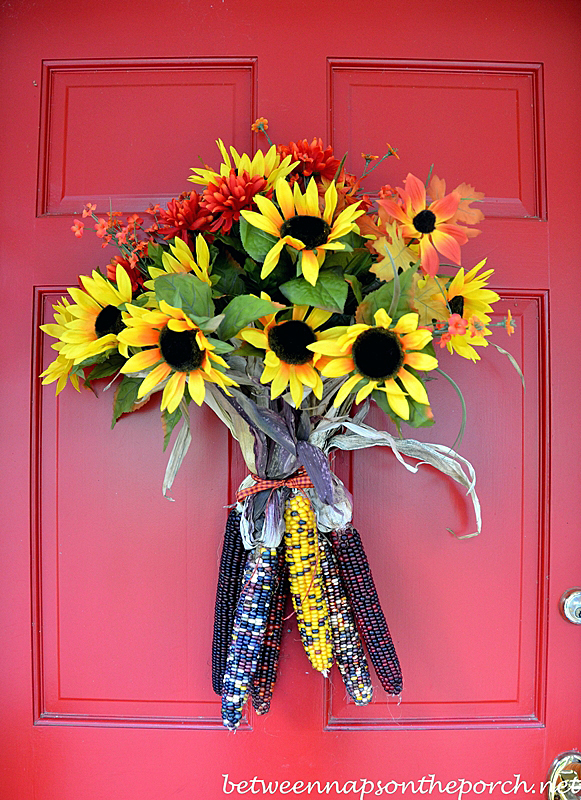 Honest confession: I never took much of an interest in decorating my house for fall. Truth be told, fall was always a little depressing for me. As a teacher, it was the end of summer and back to work. Yay. Fall equaled hectic: new classes, new students, getting back into the routine of long days, bringing home work at night, and weekends filled with more work. 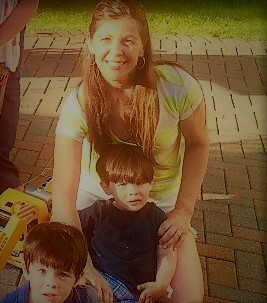 However, now that I’m home with my boys and they are (slightly) more manageable – Hey! It’s fall! Let’s decorate! Well, can I just tell you? 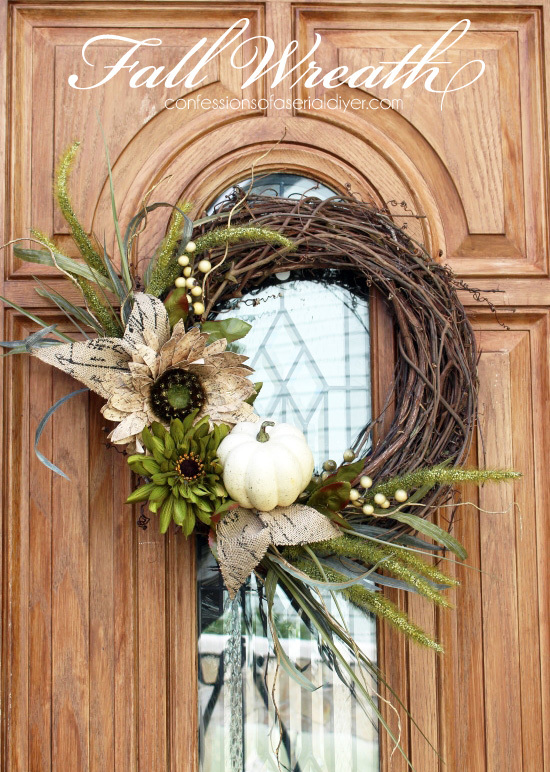 I went to scope out wreaths, and I couldn’t believe how expensive they are!!! Maybe it’s because we’re living on one income now and everything seems expensive – but no, for real. Wreaths are expensive! So, of course – on to Pinterest to find some DIY options! I’m not a hard-core DIYer, but there are definitely options that even I can pull off. 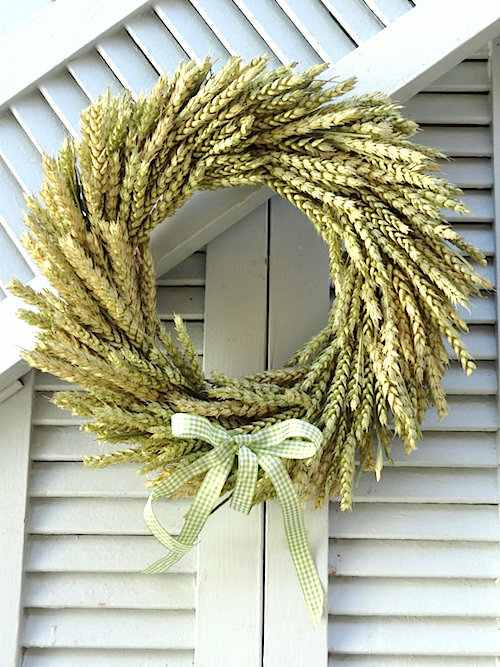 I’ve rounded up 25 of some of the prettiest wreaths out there. 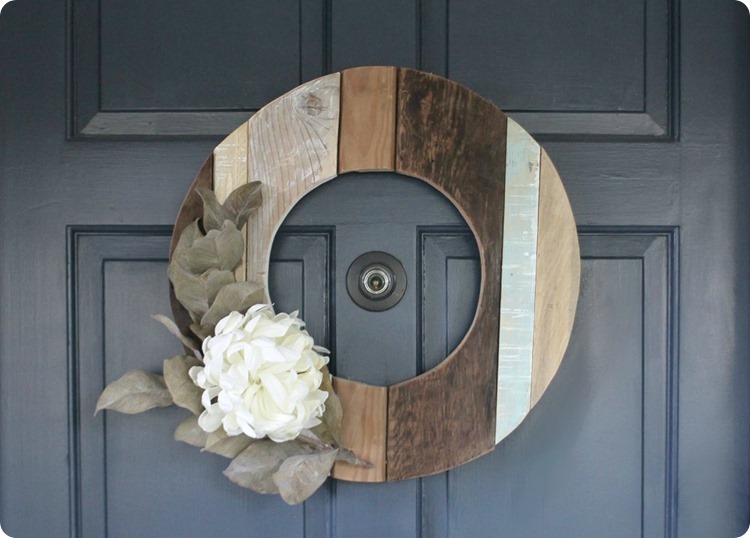 These DIYers are so creative! Ugh! I’m so jealous that I did not get their crafty, DIY gene! But still, I will give it a go. Now, I realize not everyone is into DIY. So, I also included a few links for ‘look-alikes’ if you would prefer to buy them instead of DIY. 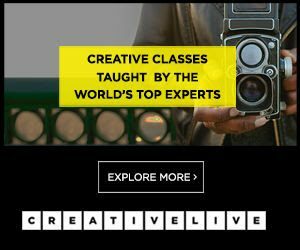 Not all of them have a link – some are just super-unique and there’s nothing else out there like it – but if you prefer to shop rather than create – have at it! 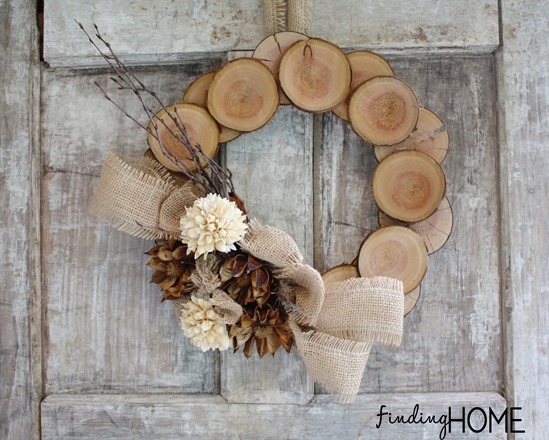 I love the natural, woodsy colors of this wreath! 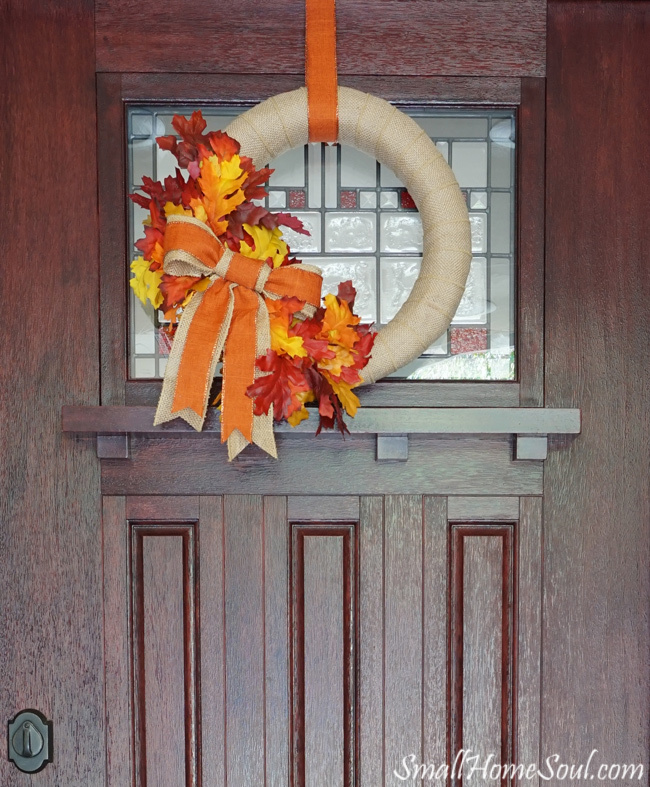 It’s a beautiful switch from the traditional orange fall decor. 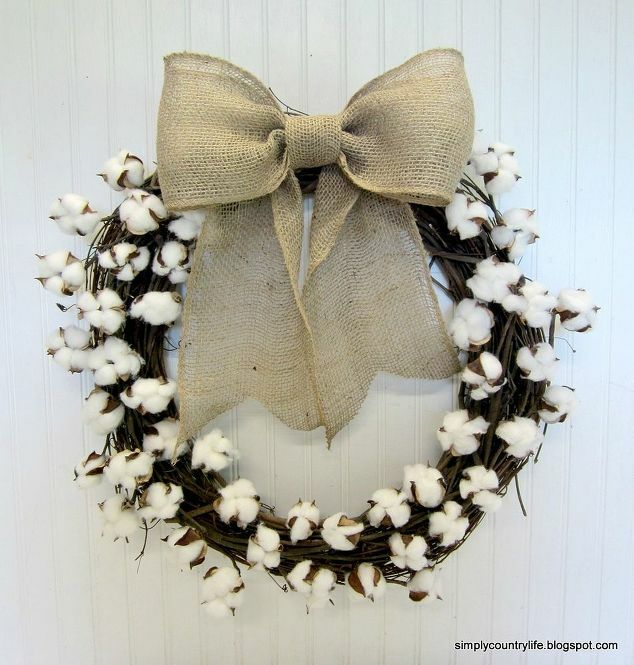 This wreath is so original! I love the mix of brown, creme and beige. The circles of wood make this so unique! The different texture compliment each other perfectly – quintessentially rustic! I love how the mesh and feathers and buttons and twigs all come together! And those flowers, though! Stunning! Coffee filters!!! Can you believe it?!? How gorgeous is this? 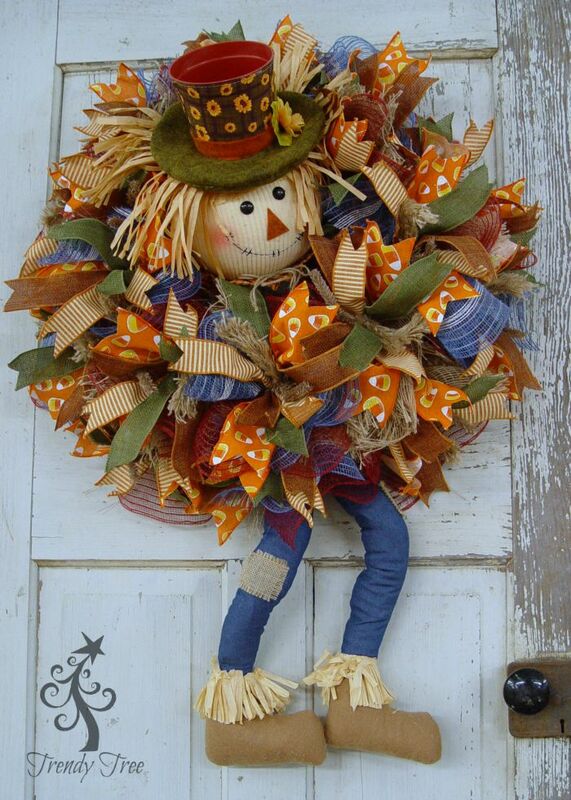 I love, love, love this wreath. Who doesn’t love chevron?!? 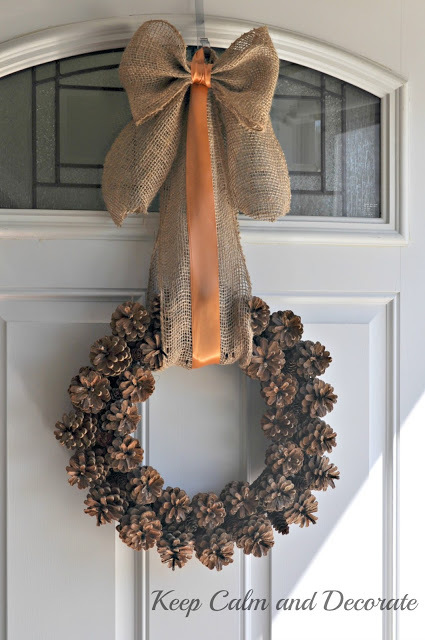 By simply adding a patterned bow, it brings the wreath to a whole other level! Love this one! OK, I know this isn’t a wreath, but how great is this?!? 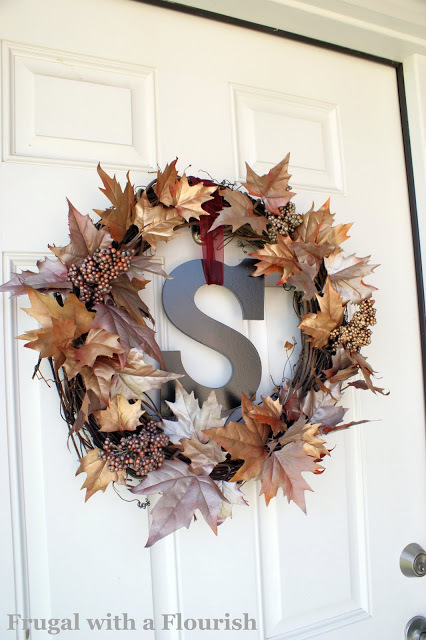 This is another beautiful option to hang on your door if you wanted to change it up from a traditional wreath! Here’s another beautiful, natural, rustic option. I love those neutral colors – another trend that’s really popular right now for fall decor! This is another beautiful farmhouse, rustic option. Again, I’m a fan of using items you can pull right from nature (and that are free, ha ha!) 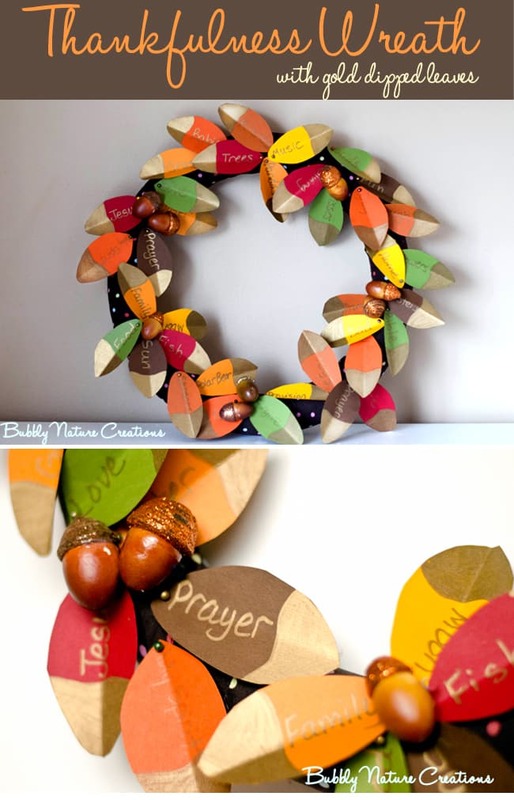 This would be a fun project to pull in the littles and have them help gather sticks! 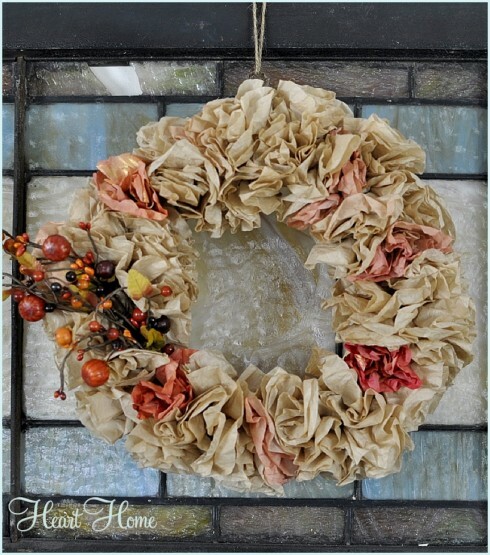 This is another simple wreath that has a really striking effect! There are so many ways to customize this style and make it your own. Another beautiful ‘get-from-nature’ option. And can I tell you? 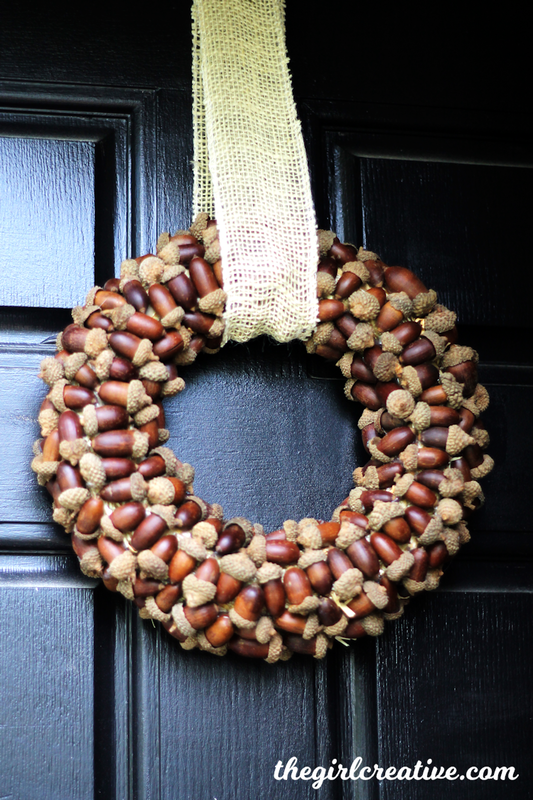 The acorns have been crazy here in NY! It feels like it is literally raining acorns! Well, a wreath is one way to deal with them, right?!? May as well make something pretty like The Girl Creative (my sister, by the way) did! 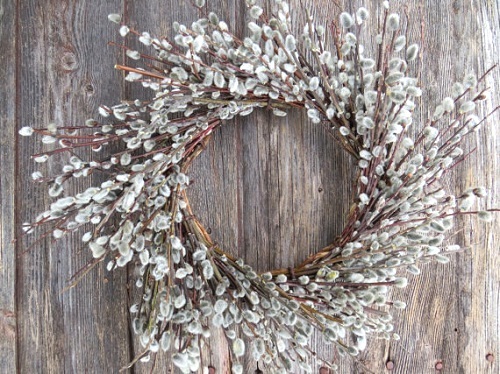 Just adding a few simple elements to a grapevine wreath has such a striking effect, doesn’t it?!? Berries, ribbons, leaves – simple but elegant – and the monogram pumpkin adds that extra, classy touch. I think this wreath is so unique! An embroidery hoop! That is such a clever, creative idea! This is perfect if you are going for a clean, minimalist look. 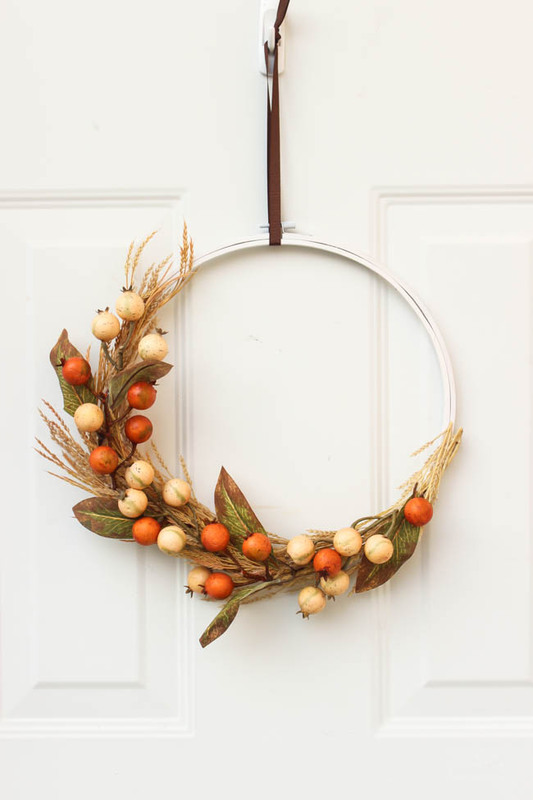 23| Rustic Fall Wreath from Reclaimed Wood from Lovely Etc. There is seriously nothing you can’t make from reclaimed wood! I’m pretty sure you’ll be the only one on the block with this one! So original – and so pretty! This is another unique option! The mix of natural elements with the shiny metallic is spot on! 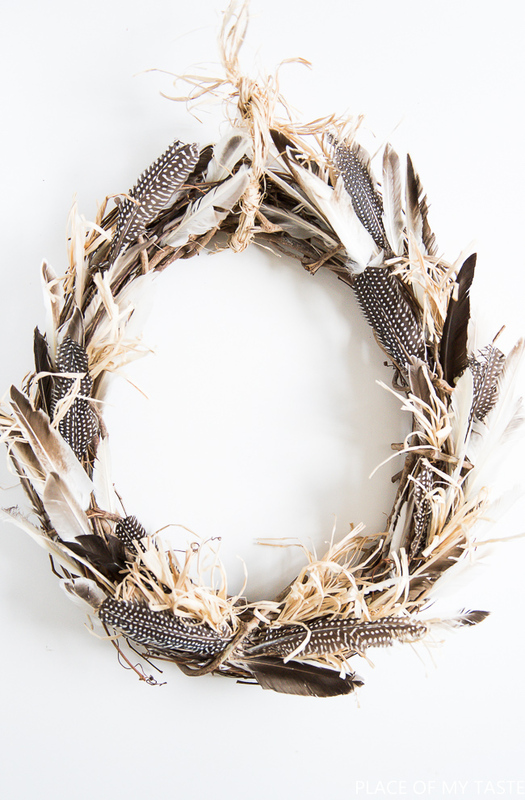 If you’re looking for something non-traditional and a little eclectic, here’s your wreath! It has a natural feel to it, using neutral, warm colors while being full of texture and originality! 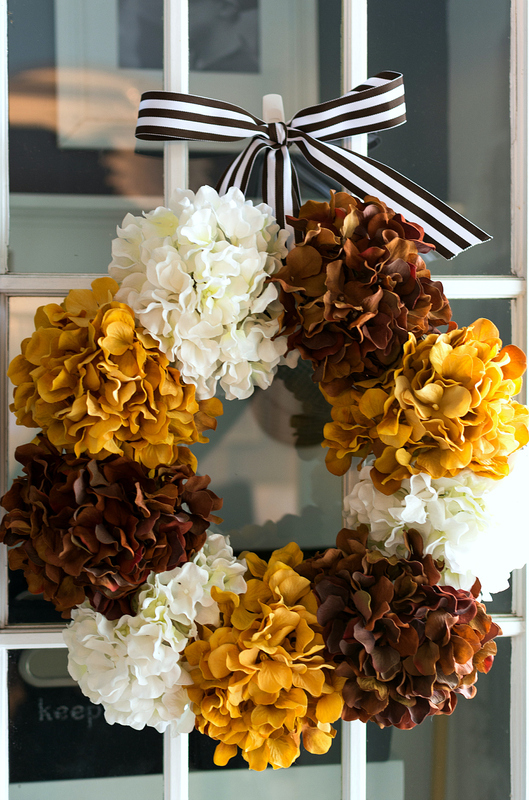 Fall wreaths are the perfect start to fall decor! 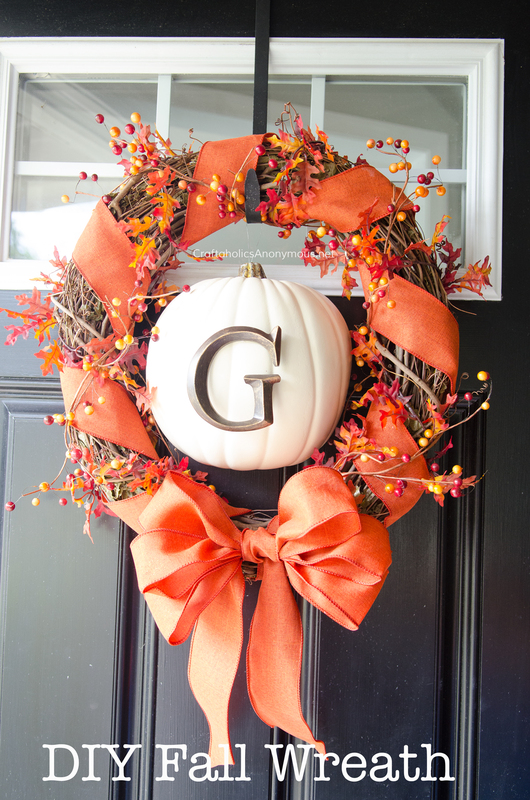 At least from the outside, it will look like you’re on your game as far as decorating goes! It buys you me a little time as far as the inside goes! 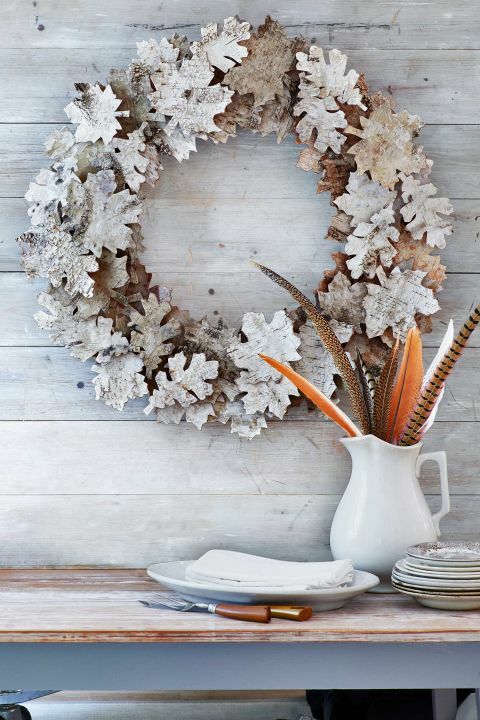 These 25 festive DIY wreaths are a great place to start. It genuinely makes me happy when I pull up to my house and see it decorated. 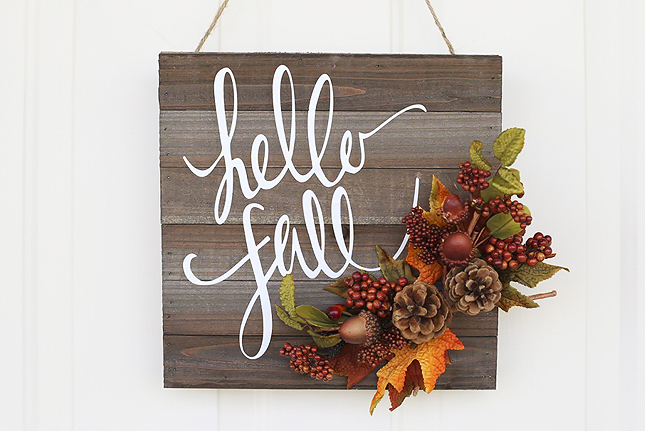 Hello, fall, y’all! Which one is your favorite? Going to give any a try? I’d love to hear how it went! Need more fall inspiration? Check out these other posts! 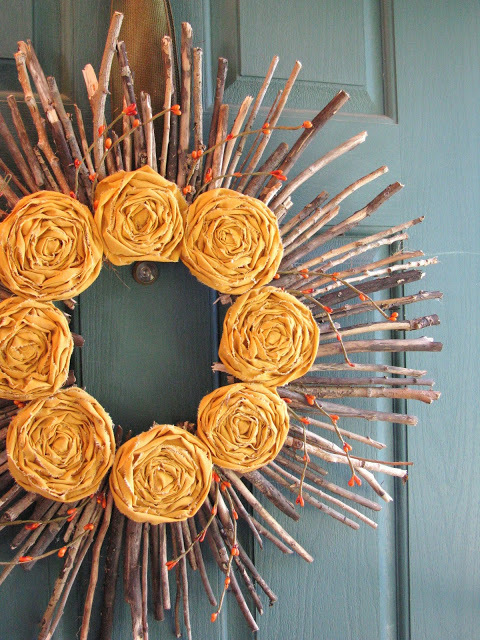 Love this list of wreath DIYers! 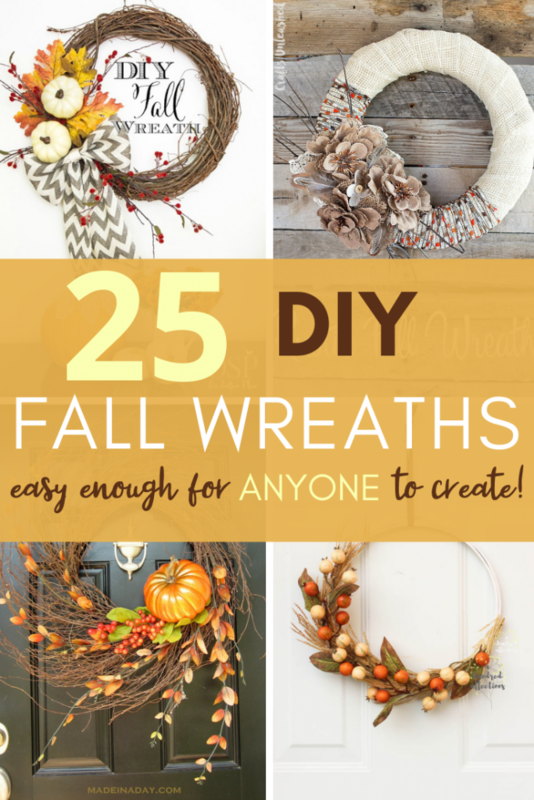 Wreaths are expensive and they're not hard to make. Visiting from #BHG Facebook group! Oh my goodness! What a beautiful collection of wreaths here! 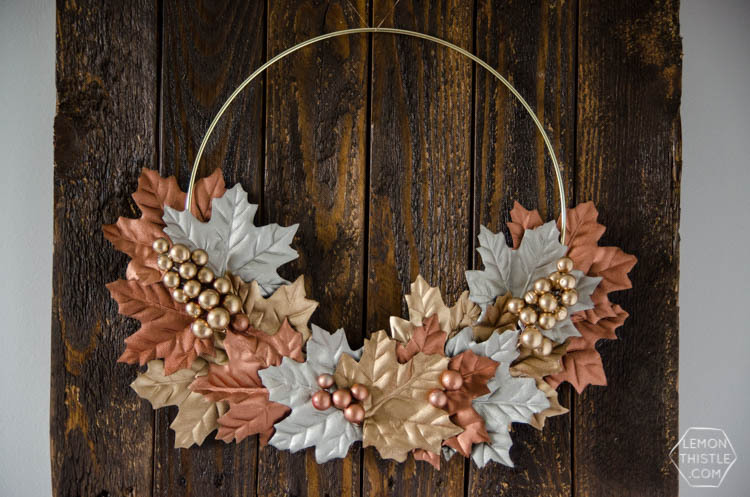 I absolutely love the birch bark leaf wreath! I may have to give it a try!